Add boiled parsnips to your mashed potatoes for a subtly sweet flavour and more fibre. 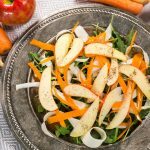 Roasted parsnips taste wonderful over a warm quinoa salad. Bring out their nutty flavour by adding some walnuts or pecans as well. 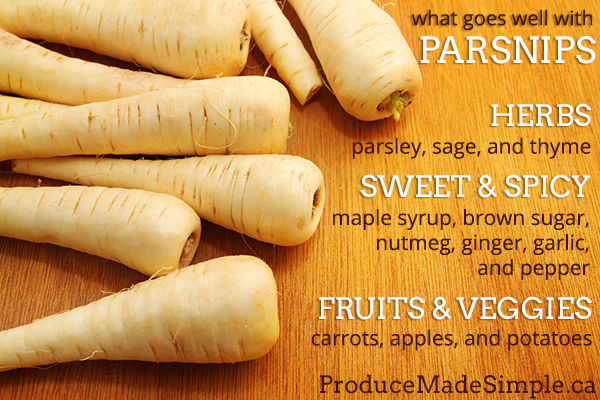 Parsnips and apples are such a classic flavour match: try using it in soups, pies, or even breads. Add some crunch to soups or softer foods: use a vegetable peeler to shave off ribbons of parsnip and flash-fry them in oil until crisp. Remove from oil and let drain on some paper tower. They’ll naturally add more movement and texture to your dish. 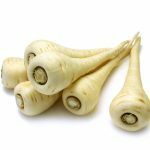 Enjoy parsnips roastedas a delicious side dish and then use any leftovers in soup. 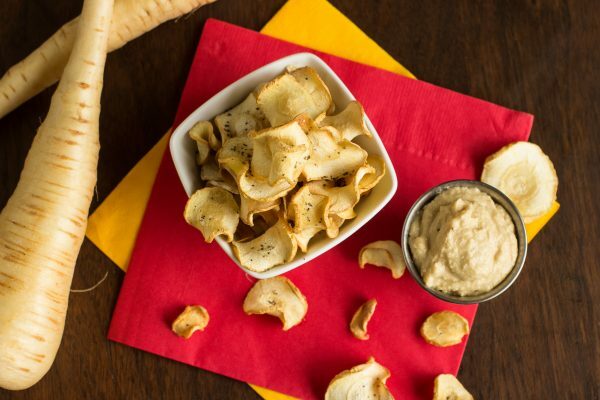 Try making healthy vegetable chips with them. Impress your guests with this simple pork tenderloin with apple parsnip purée and blackberry wine sauce. Fancy enough for a simple fall feast, yet easy enough for a casual weeknight dinner, this recipe does not disappoint. Ward off a seasonal chill with this classic and comforting Ontario pear and parsnip soup. A side dish or possible after-school snack, these oven-roasted parsnips and carrots taste great when dipped in a sriracha mayo. 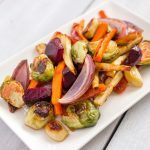 Maple roasted root vegetables are a winning side dish for pretty much any protein on the fall and winter dinner table.